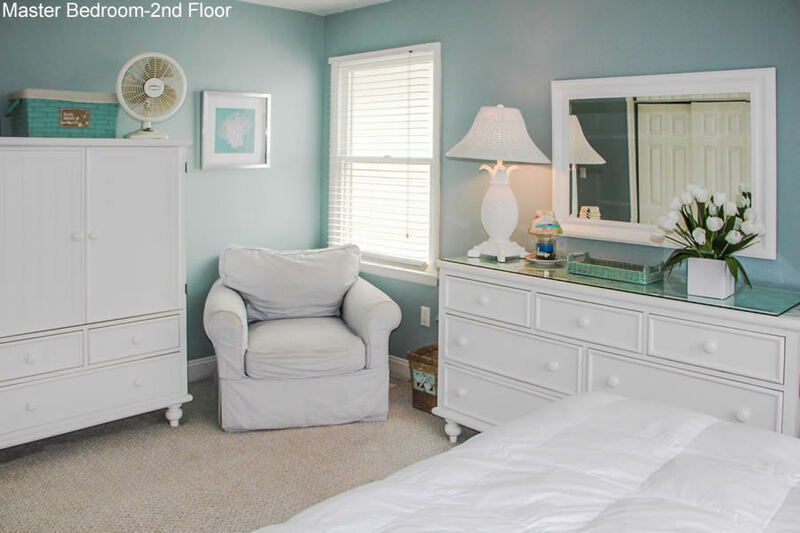 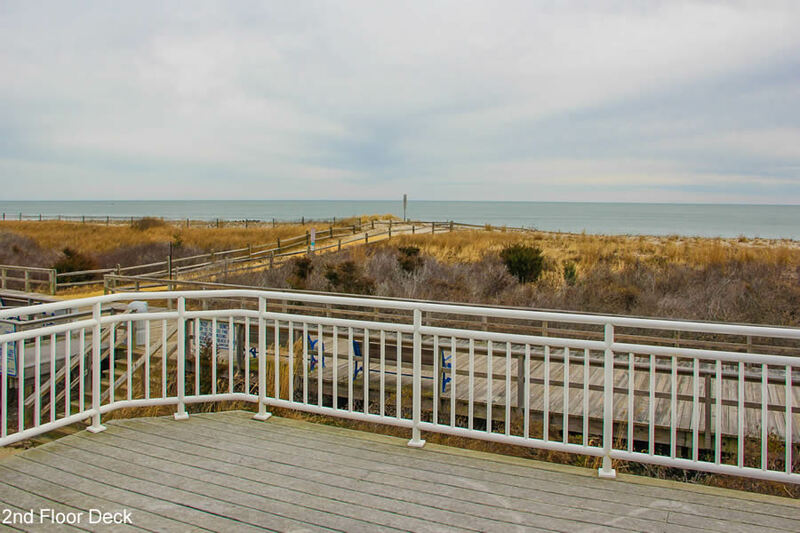 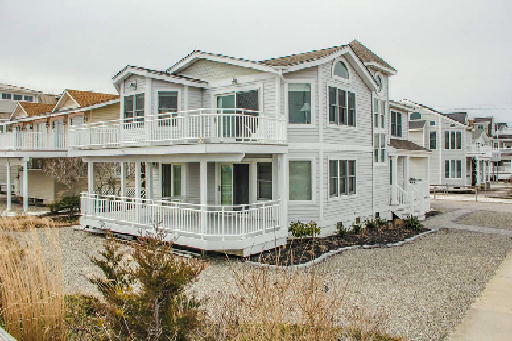 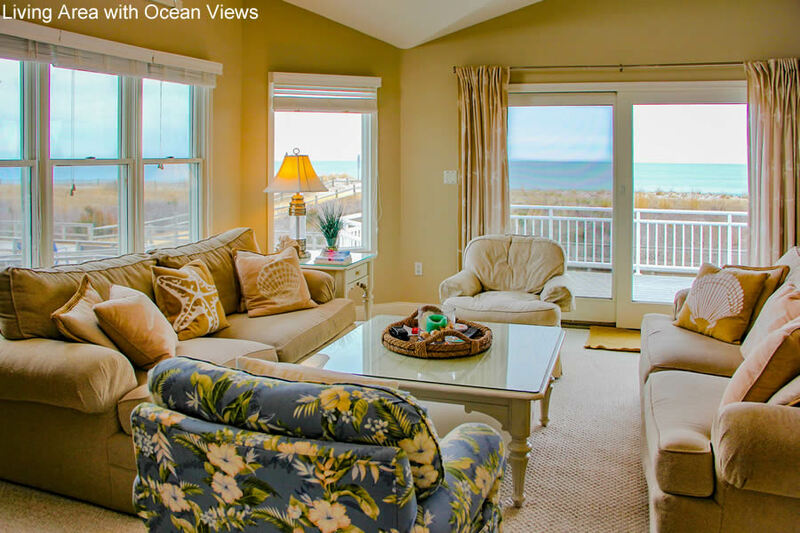 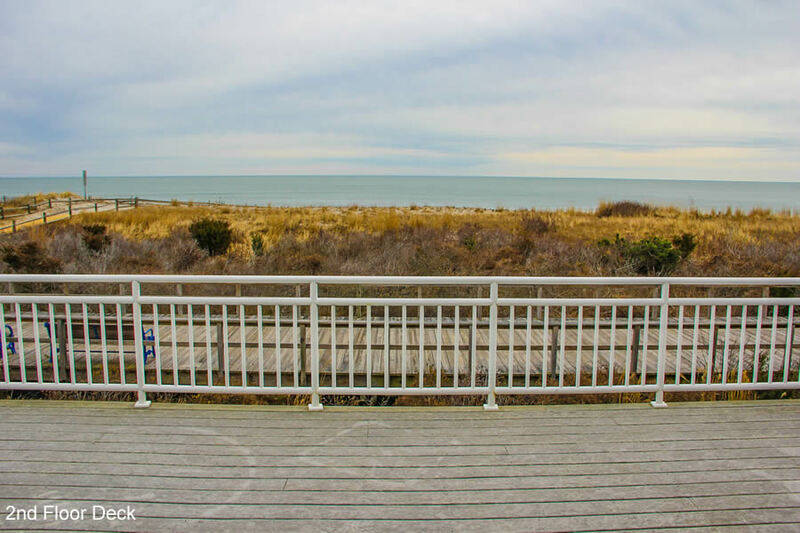 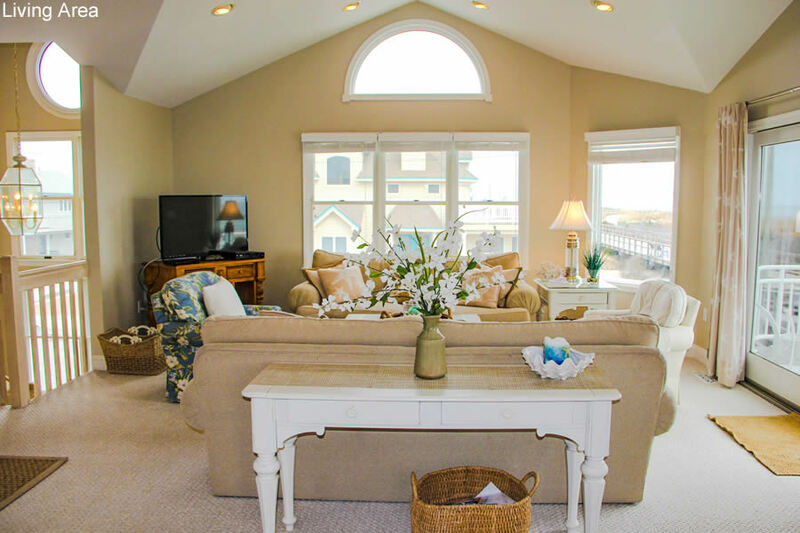 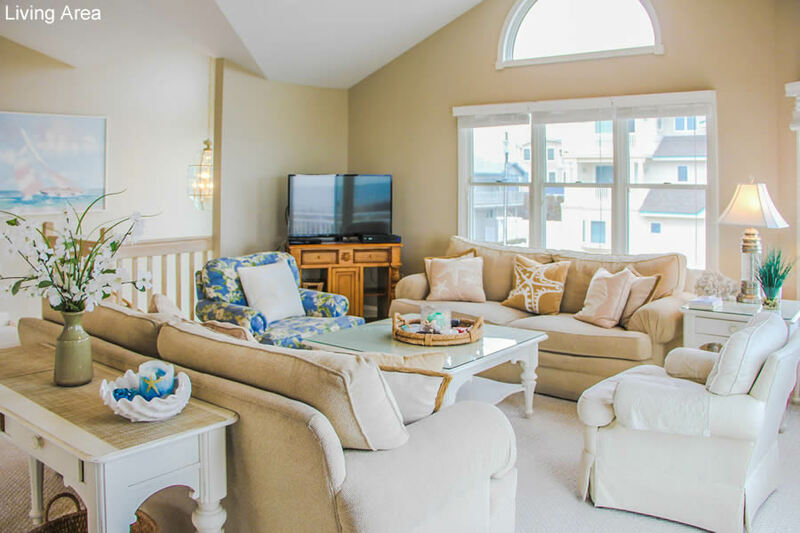 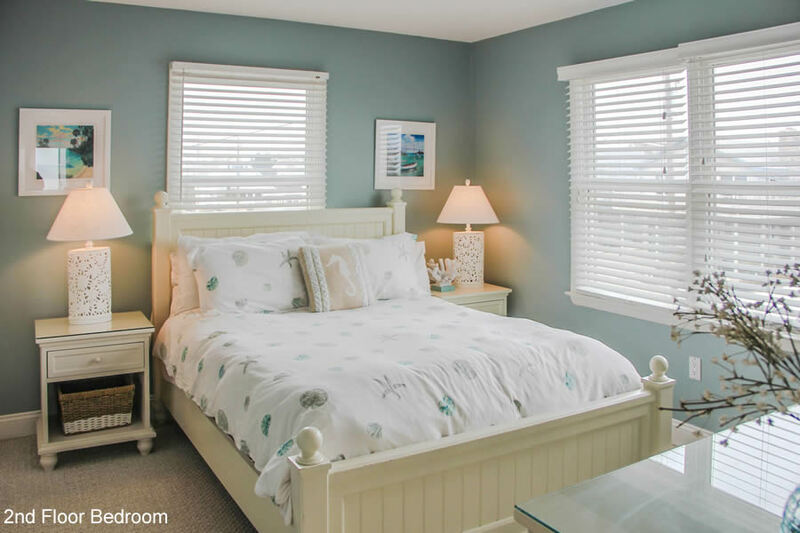 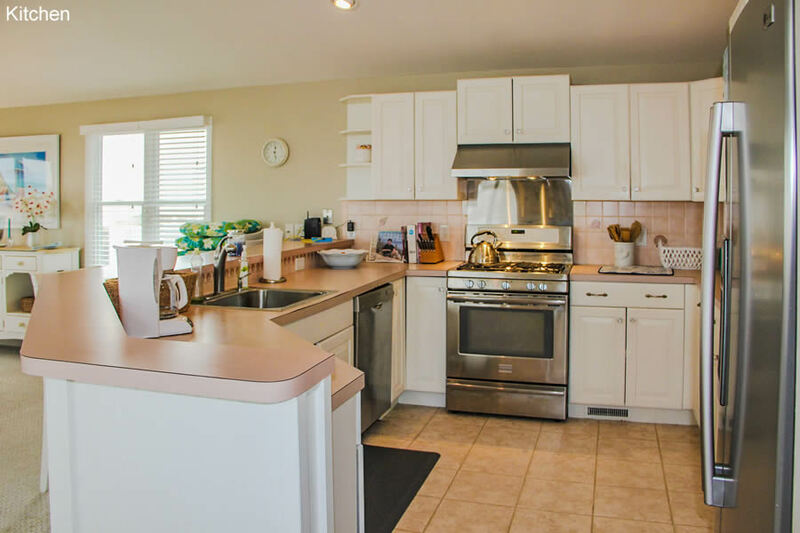 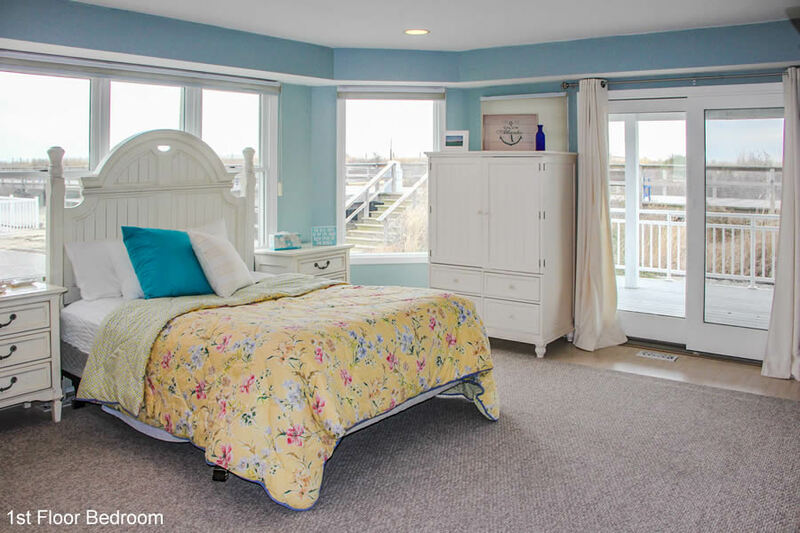 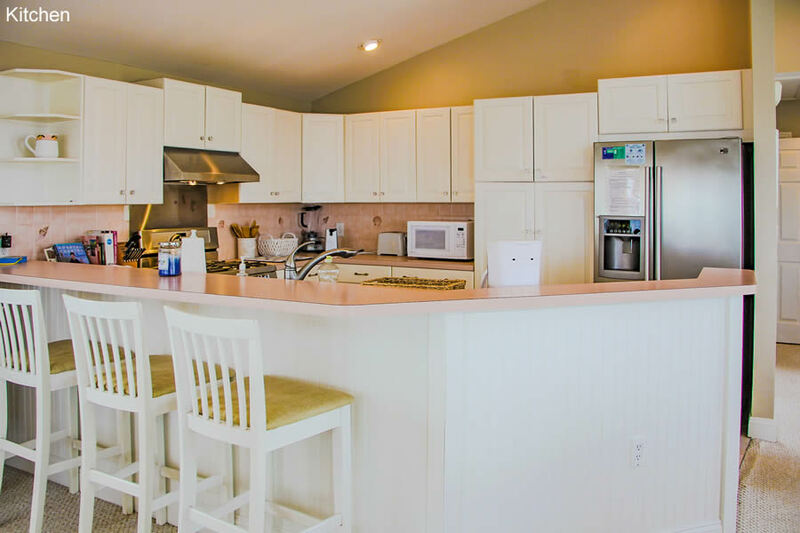 Enjoy this spectacular 5 bedroom 3 bath oceanfront home.This centrally located upside down home has all the views you could ask for.The first floor contains 3 bedrooms, 1 large room with a queen size bed ,and a great view! 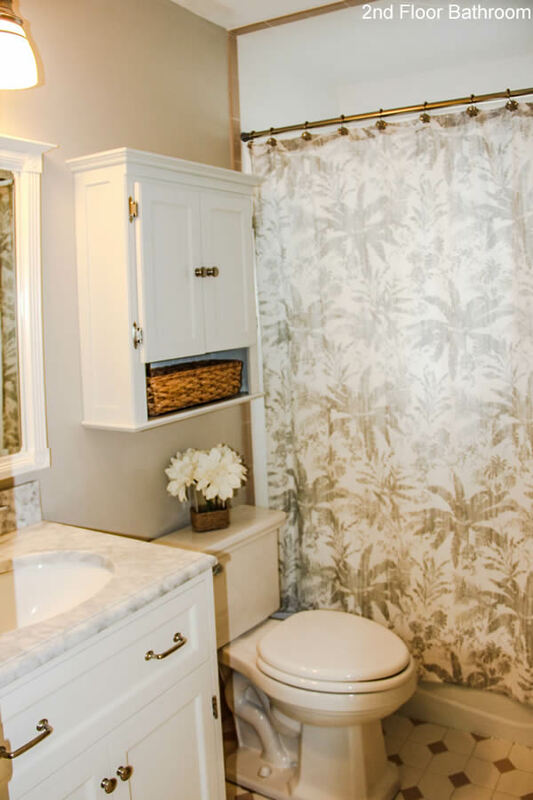 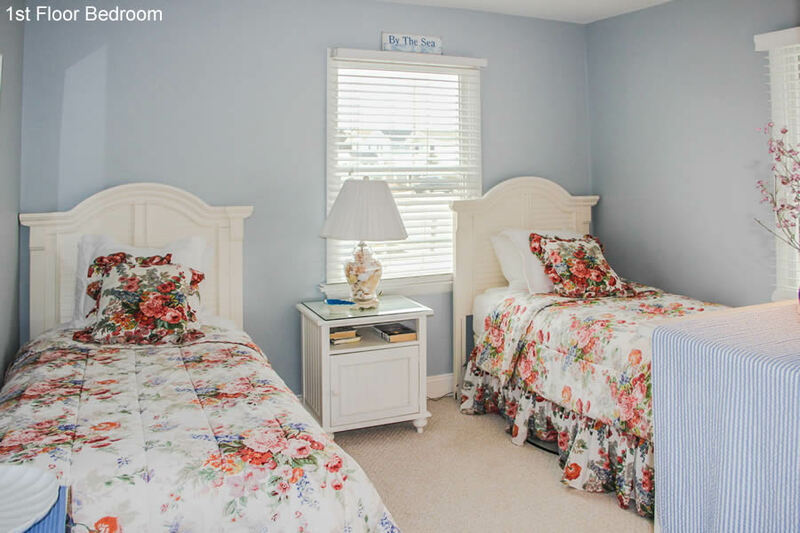 There is a full bath as well as 2 guest rooms each with twin size beds. 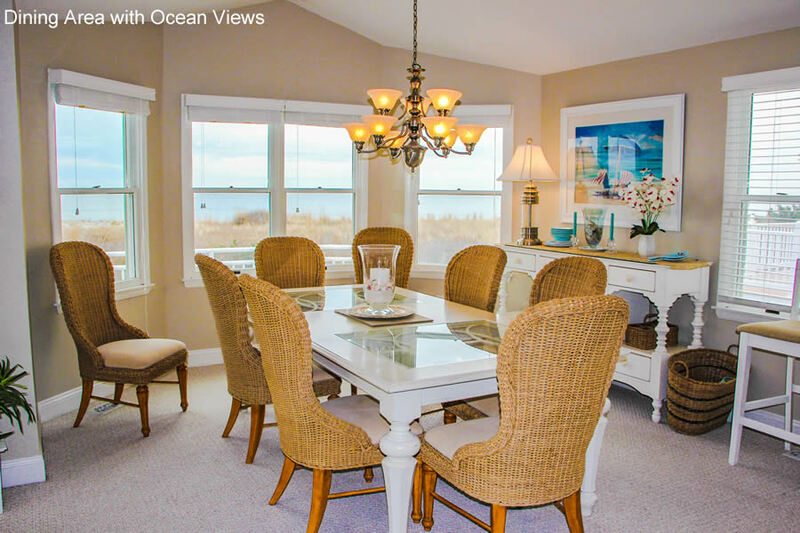 The second floor contains a spectacular, main living area, which includes an open floor plan so the incredible view can be enjoyed weather you are cooking in the kitchen or eating at the beautiful dining room that opens up to a magnificent second story balcony, you can bring the great smells and sights of the ocean indoors as you can only do from a beach front home.There are 2 more bedrooms on the 2nd floor, one is a beautiful master bedroom with a queen size bed as well as an ensuite full bath. 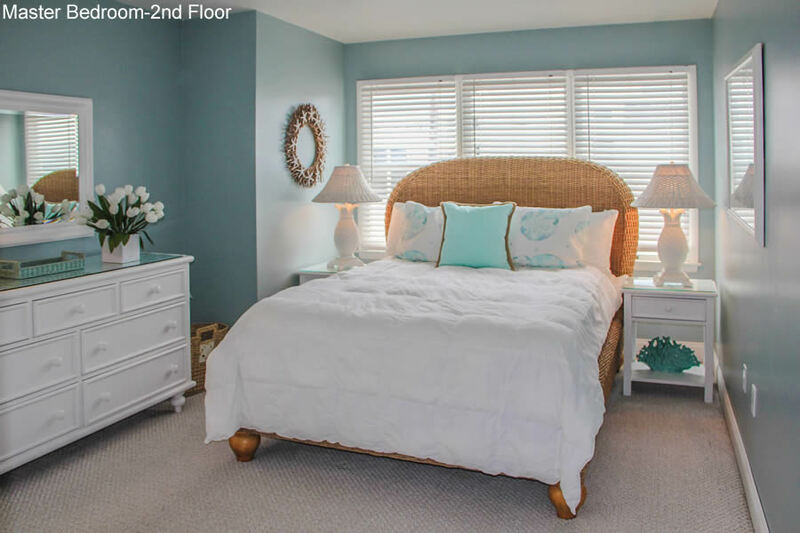 The guest bedroom also has a queen bed. 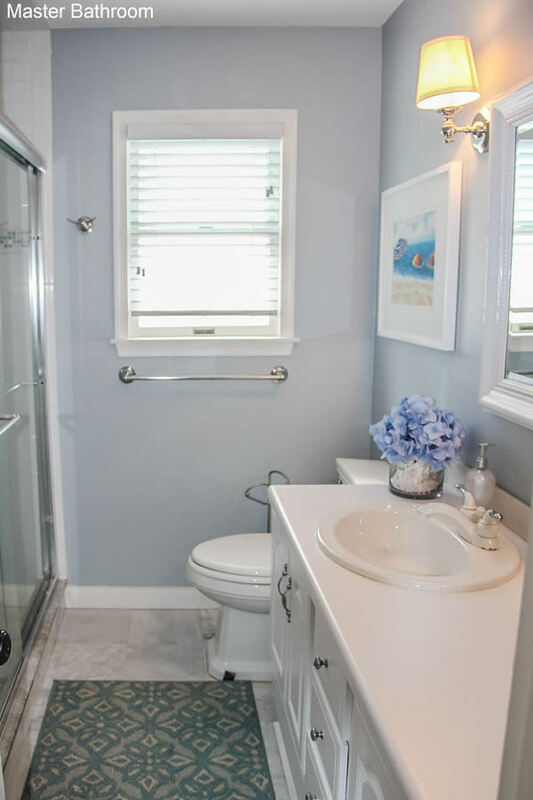 There is another full bath in the hallway. 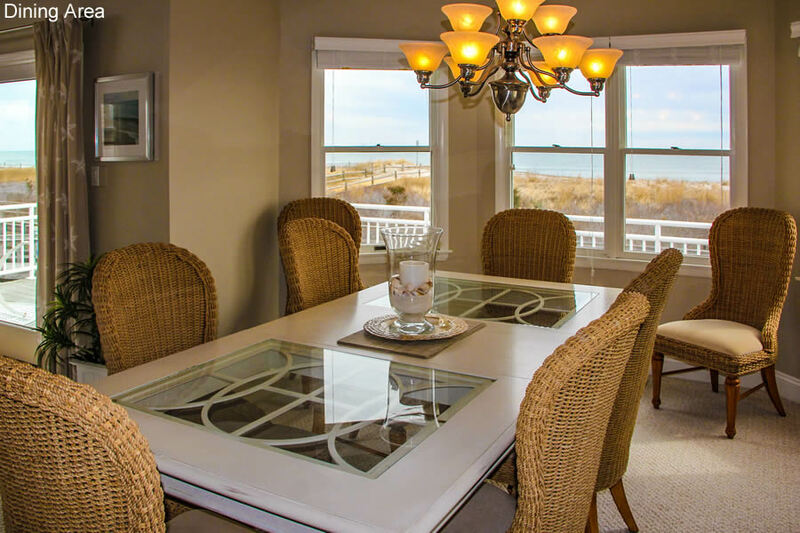 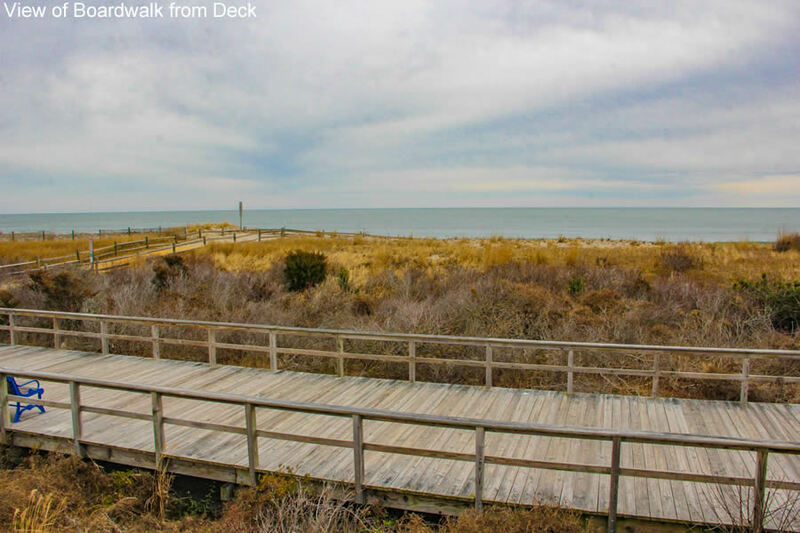 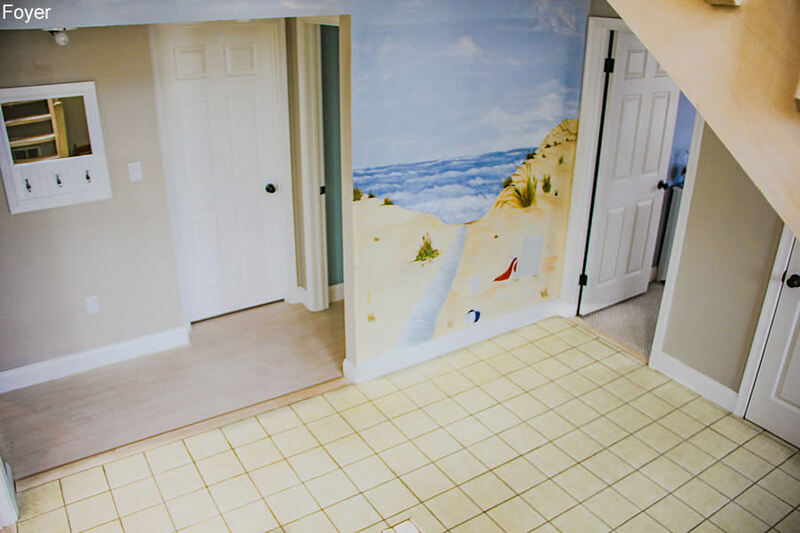 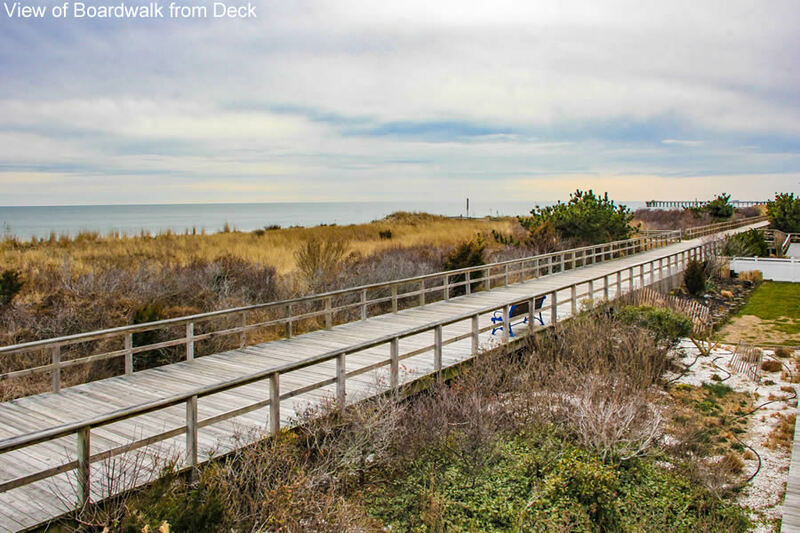 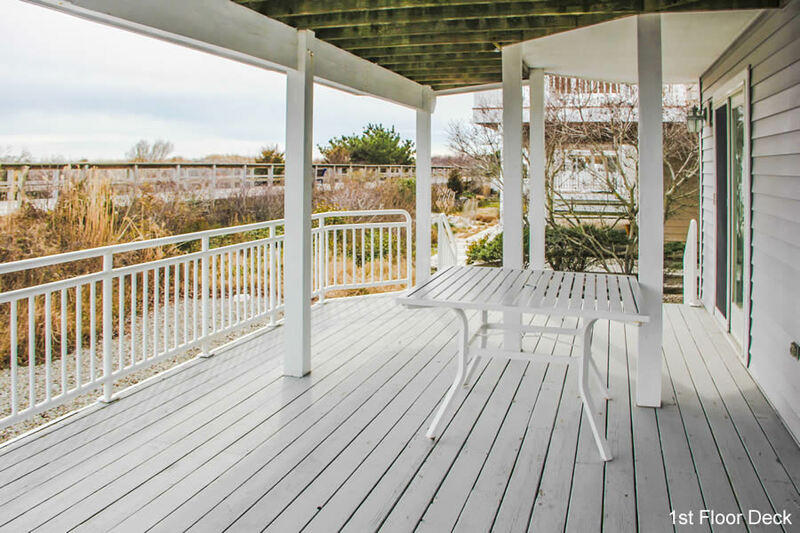 This home has beautiful outdoor spaces so you can enjoy all that a beach vacation can possibly offer.